Traveling in Botswana - Do it! I may not be a full-on budget traveler, but I have to tell you, we found out that to visit Botswana we would need to step quite a bit out of that comfort zone. It’s an expensive place to visit. As we were preparing to plan for our trip, there was just too much to see and figure out. I came across a great website, Drive Botswana, and gave them a call. Me: I would like a quote on a self-drive tour that possibly could include the entire country of Botswana, seeing not only the Big 5 animals, but all of the others as well. Oh, and I would like to keep this as inexpensive as possible. Andy: No problem, when would you like to come? Andy: Choke! Wheeze! Cough! Three weeks!? We’re normally starting this process at least a few months beforehand…but I’ll see what I can do (now that I’ve caught my breath). Boy did Andy come through. The price, well let’s just say…not inexpensive, but, as the commercial goes, the experience was priceless! He had asked me to call him back a couple days later, then sent me a tentative itinerary. We worked out some of the kinks like my having to visit Tsodilo – the one and only UNESCO World Heritage Site in the country, and voila! I was ecstatically embarking on a trip of a lifetime to a new continent, new country, and an entire slew of new and exciting experiences. At this point, we trusted Andy with our entire trip. He set up our rental truck, accommodations, food, and some activities. When we were on site, the people there all knew Andy quite well and if there was a question of what was included or how to pay for something, they didn’t bat an eye. He is well-respected at all the places and we, in turn, received right royal treatment. Fly to Livingstone, Zambia to visit Victoria Falls. Wet, hard to photograph, funny bamboons, wet, beautiful birds, hilarious people, gorgeous, awe-inspiring…oh, and wet! Andy then sent a hired van to pick us up, take us to the river crossing, then drop us off at our fantastic Chobe safari lodge in Kasane, Botswana at our first accommodations. There we picked up our truck and were basically on our own for the remainder of the trip. While in Kasane, we took an evening Chobe river cruise, something that I’d read mixed reviews about online. Therefore, I was a little apprehensive about it, but it turned out to be one of the best wildlife viewing excursions of the trip. We also drove through the next day, which in retrospect, I wish we had allotted more time for, because the abundance of wildlife was astounding. We even saw lions, albeit they were covered in dried blood and flies from eating their lunch, so they weren’t as majestic as I had imagined. I loved the camaraderie of the fellow drivers as we shared info on this sighting and that sighting. From Kasane, we moved on to the Caprivi Strip in Namibia for only one night. Again this probably would require more time, but if you don’t have the time, don’t bother. The best part of the drive were the views, and the best view was from the customs house border crossing. After our brief jaunt into Namibia, we got on to our main goal, visit Botswana, so off we drove to Seronga. This was one of the most out-of-the-way, and hardest places to get to. We had to try and get gas and then take a ferry over. Once there, we took a tour of the Okavango Delta in a mokoro. These squat, kakhi-colored boats convince you that you could not possibly be closer to the water. Our guide was a funny man that had lived in the delta his whole life and told us story after story about the people and animals found there. At one point, he took us to where a bloat of hippos liked to hang out. Apparently, he had made friends with one of the more curious females. He took his pole and slapped the water to call her, and she came to visit. A male, her male, the male…anyway this guy didn’t like her behavior and anytime he felt she was getting too close, he’d called her back. I don’t think his language is fit to print, but I have to admit, I didn’t really like her getting too close either. I was just as happy that he kept her back where she belonged, safely out of our reach, or more truthfully, we were out of her reach! The next day we were headed for a camp way out in the bush. 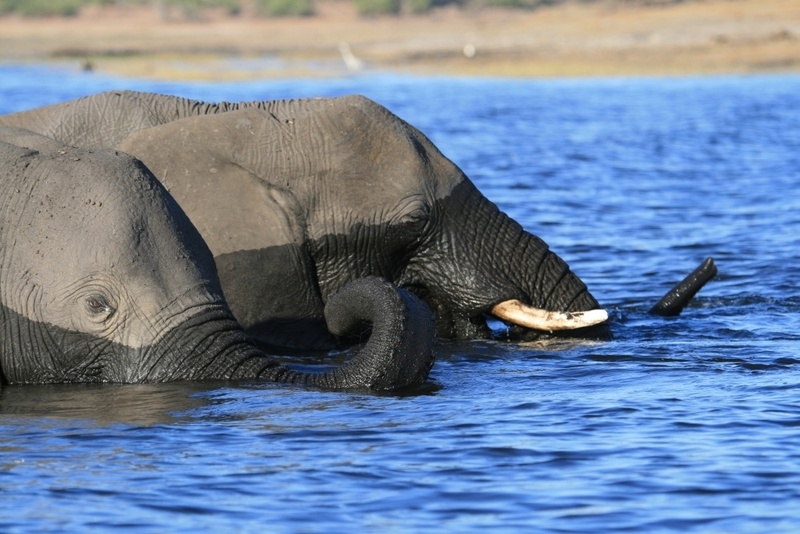 At this camp, we could do another delta boat ride, or drive to Tsodilo. Because this World Heritage Site is so far off the beaten track, we only saw one other group the entire day. The San people that run the site and museum were friendly and knowledgeable. I asked question after question, and our guide was more than happy to answer. The area driving up to the site is flat and dusty, but the Tsodilo hills appear and you can see why it became such a spiritual spot for the San. Here, where it has been inhabited for over 30,000 years, you can see tons of rock paintings. Our next stop was Mankwe Lodge. Talk about luxurious! I think this ranks up there as one of the most exotically pampering places in all of our travels. Needless to say, we loved it, and we loved the camp director, Christopher. Around the campfire that night, he regaled us with stories about everything from leopard encounters to his stint in the British SAS somewhere in Indonesia. While there we also had a couple of guided safaris, one at night and one in the daytime. Then upon leaving, we drove ourselves through the reserve. One of the final things we did was stay at the Khama Rhino Sanctuary. We were looking forward to this stop, because we had only seen one rhino before this, and were anxious to have a better look at them. We were more than rewarded when right away we sighted a female white rhino and her calf. This was really our last stop in Botswana, we had driven and driven and driven, so even though we took a couple rides on the tracks, we also spent an entire day at one of the pans. It was like watching the live version of the “Lion King”. Taking turns, all different kinds of animals came to the pan to drink. If the previous slurpers weren’t quite finished, the next ones would wait quietly in the brush until the pan was vacated. Other drivers came up and saw us there, asked us what we had seen, waited for a few minutes, then left without seeing much. In one day, we saw so much wildlife, our Botswana dreams had come true. Amazing! It was a great goodbye to this beautiful country. Ok, so the question is, what animals did we see? This is not a comprehensive list, but here goes: elephants, giraffes, rhinos, lions, crocodiles, antelopes galore (everything from bushbuck to kudu), a myriad of birds (bee-eaters to fish eagles), buffalo, mongoose, warthogs, wildebeest, water buffalo, ostriches, hippos, and zebras. This was a fantastic mix of following the trusted route that Andy set up for us, having wonderful accommodation along the way, and yet being able to spend more or less time, depending on our own style, wants, and needs. All we had to do is show up in our safari gear, so we just followed this list and we were set. We loved it. We can’t wait to go back. Botswana, for me, ranks up there as one of my favorite trips…ever! 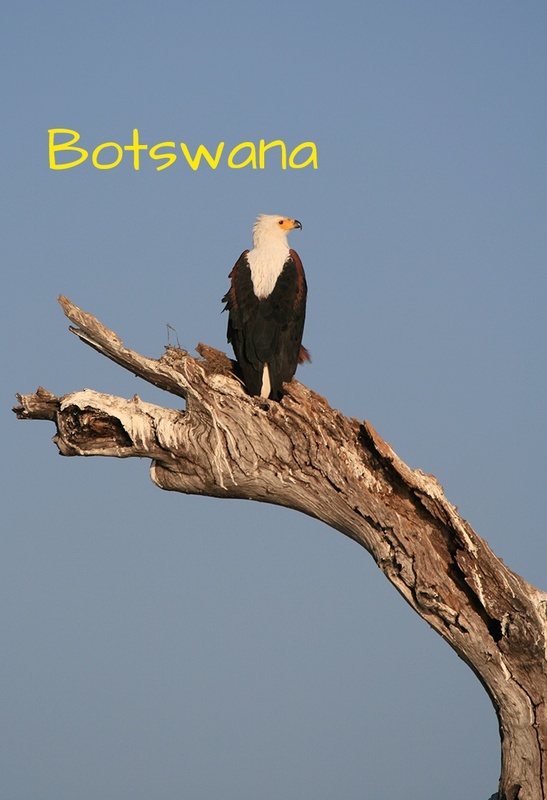 Would you like to visit Botswana? Have you? Got any tips? 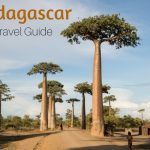 Madagascar Itineraries, Things To Do, and More! Hi! I would like to swap links with your site. My blog is http://www.travelocafe.com. I’ve already added you under my “Links” section on my page. Please send me the description you favor for your site. Thank you! Buddy, Thanks for your comments and the hints on where to rent vehicles. 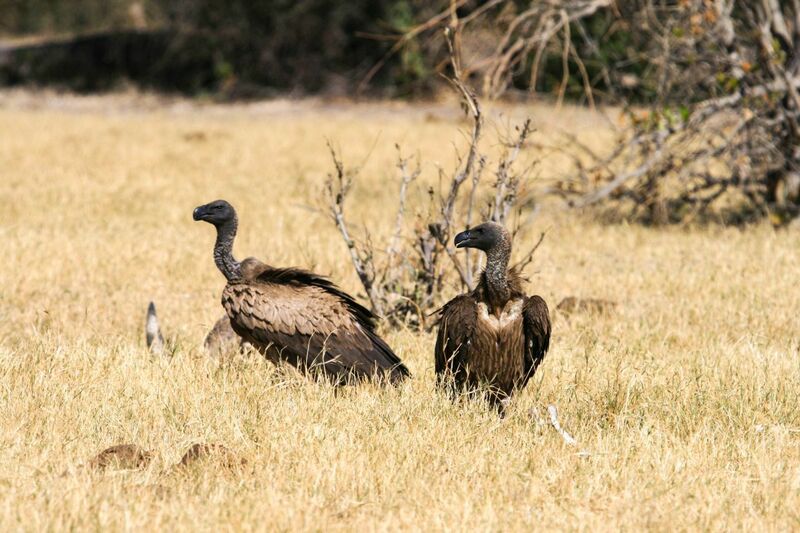 It is by far the best way to see southern Africa. I love your website. 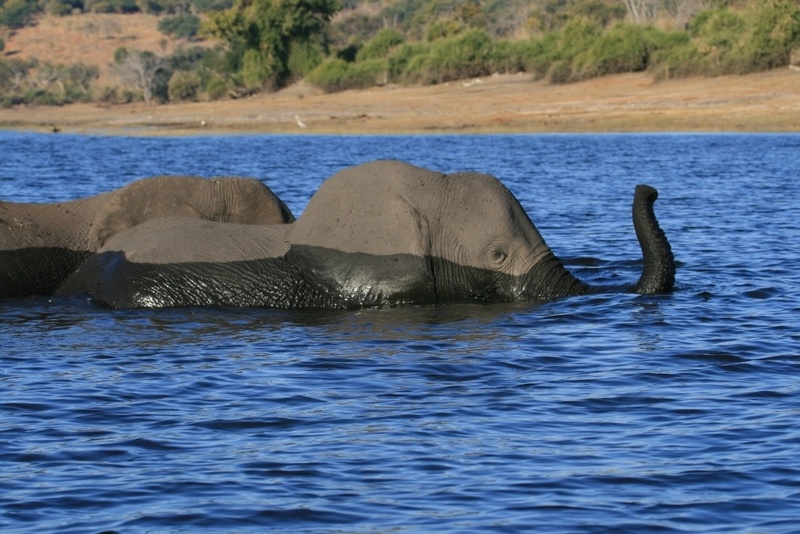 Chobe is one of my all-time favorite destinations. Botswana looks amazing and is now on my bucket list! Do you think Drive Botswana would work well with older kids? Jennifer, I think with kids, self-drive is the way to go. In group safari trucks you will be with other folks and you won’t be able to stop, play, etc. as much. I say yes! 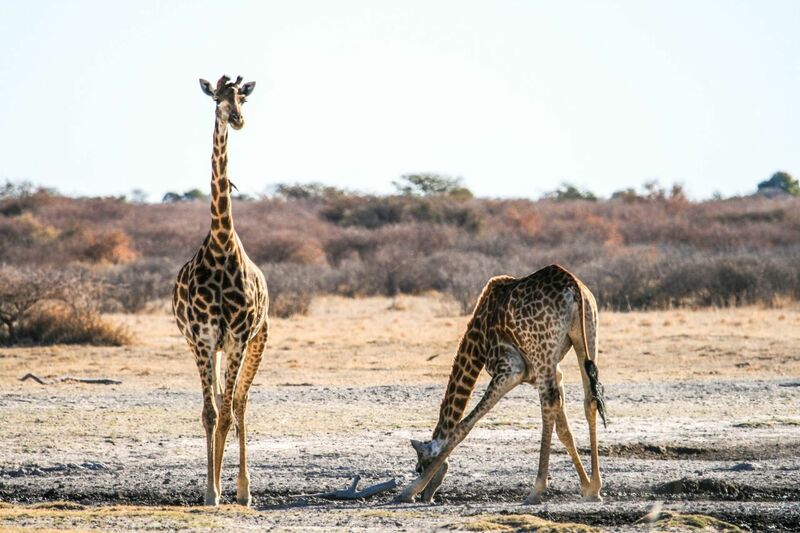 This sounds like an epic Botswana trip, everything you did, all the animals you saw, and this Andy guy sounds like a champ 🙂 Botswana is on our bucketlist for sure! Samiya, Andy was amazing. Everywhere we went people knew him. It was great to have him as a main contact. Kevin, I agree with you. It is about being quiet and patient. One day we sat in one place for hours. It paid off viewing-wise, but would have been super boring for small ones. Rhonda, We loved it every minute of it. We did love driving, because we love to be in charge of when we stop to take photos. Sophie, I love those books and it was cool to be in Botswana because of it. Good to know that you need to plan this sort of thing ahead of time! I’m a last minute traveler – glad Andy was able to plan everything for you with a short turnaround time! Also your photos and animal list is seriously impressive! I want to make it over there as soon as I can! Sally, I’m sure there is a way to do it on your own and not overplan, but it was a little intimidating at first. 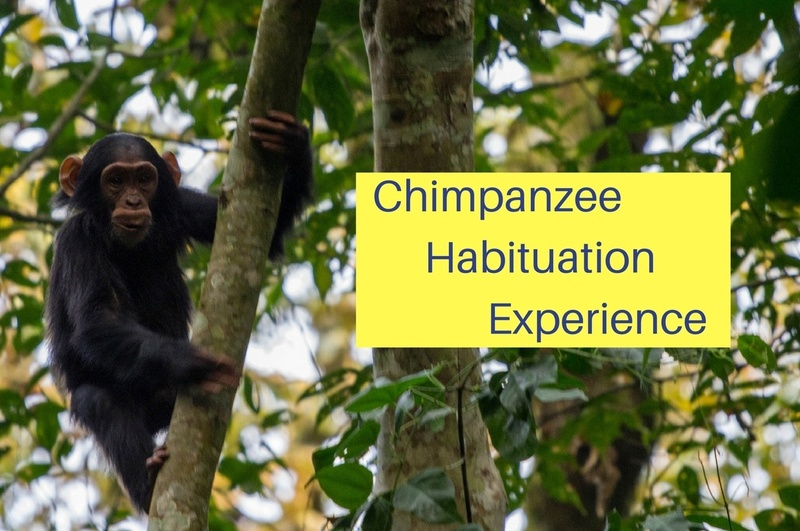 This is very different from my trips, but I’m 100% sure I would enjoy to meet these wild animals as you did ! Stephanie, It was wonderful. There are many ways to do a safari, but we like doing things on our own. This is going on my bucketlist right now! I love your pictures and the whole experience! Liesbeth, Glad to hear it! We loved it, too. Botswana is amazing! What an adventure doing a self drive! This post makes me nostalgic for Africa, even though I have never visited Botswana. I would love to do the Chobe and am glad to hear you enjoyed it depsite the mixed reviews! I’m hoping to take a more extensive trip across Southern and Eastern Africa in the not too distant future so will certainly PIN this for future reference! Great Nikki, We definitely want to do this again, but we’ll have to find a cheaper way to go next time. Wow! Everytime I read an article about a country I am unfamiliar with, I always immediately want to go. It sounds like Botswana is an incredible country to visit. Thanks for sharing your itinerary.